Improve your pool experience with lighting that creates a unique backyard atmosphere for you. Change your environment to suit your taste and mood, create a paradise that goes far beyond your pool. Tantalizing your senses, sight, sound and touch. PT. Alson Integra Lumindo Sell LED Pool Lights that will change your outside environment. This LED Pool Light is the only, UL listed lamp to retrofit almost all pools and spas using this type of lamp. The highly efficient LED Pool Lights consist of a combination of individual colored lights that are automatically sorted at various speeds, producing a vibrant color spectrum. The superior design allows for uniform and color light intensity while avoiding hot spots and glare. Can be rotated up to 180 ° to provide wide beam patterns (standard) or narrow beam patterns. The technology used utilizes the brightest and most energy-efficient LEDs available under water swimming pools and spa lights. Consume up to 50% less energy than competitors' lights. The LED Pool Lights provide a stunning new dimension when the sun goes down. 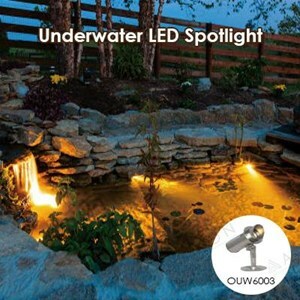 With today's technology, enjoy brilliant LED lighting that presents dramatic underwater light shows. Do you have a swimming pool in the ground or an above ground pool. The LED Pool Lights add a dramatic dimension to your swimming pool and outdoor areas around it. By illuminating a pond and producing light about water, the pool lights create a different atmosphere that is great even if you don't plan to swim at night. Enhance your pool experience with lighting by creating your unique backyard atmosphere. LED pool lights can change your environment to suit your tastes and moods, creating a paradise that goes far beyond your pool. Taste your senses, sight, sound and touch. PT. Alson Integra Lumindo offers LED pool lights that work on the latest technology and are very energy efficient. The lamp is 100% waterproof and will continue to work even though the windshield breaks, thus ensuring 100% water check. The lamps operate at 24 Volt even so, the lights are more luminous than 100 Watt halogen lamps.